Need Detail Steps To Assemble Brake Shoes For 2003 Mitsubshi Outlander. How Oftern If Ever Should Brake Shoe Springs Be Replaced? 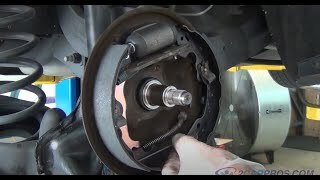 How Do You Replace Front Brake Shoes In A 2002 Ford Excursion 7.3l Diesel?